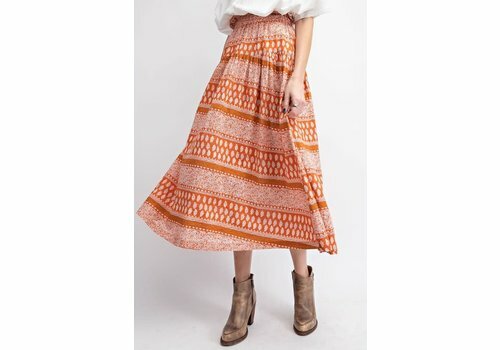 Is it a maxi skirt, or the grooviest pair of shorts you ever did see ?! We will let you decide. But either way, we are loving this look! 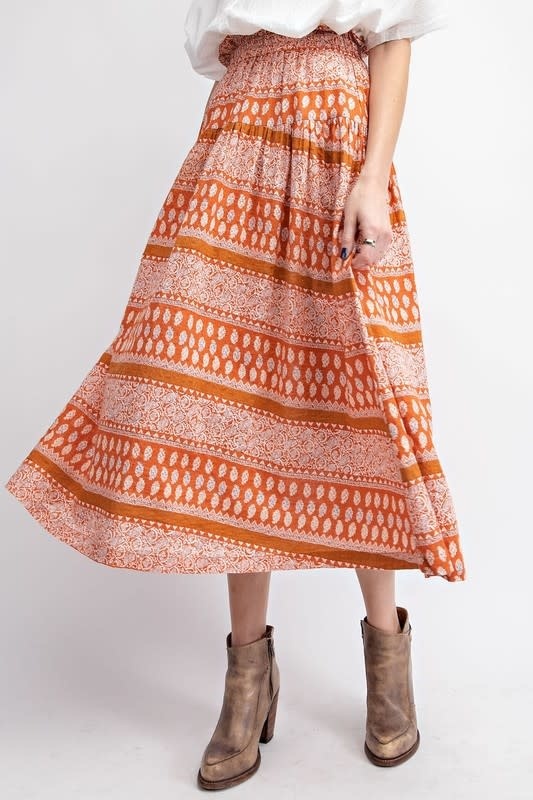 Perfect for music festivals all summer long! 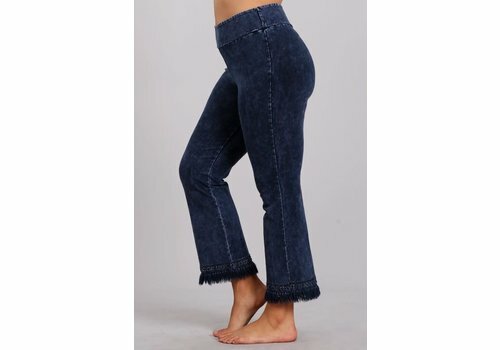 Our favorite, hand dyed and American made bell bottoms have a brand new look; cropped flared & fringe ! Same soft, stretchy fabric that leave everyone's legs and booty looking so good. (seriously, they are the most flattering pants). 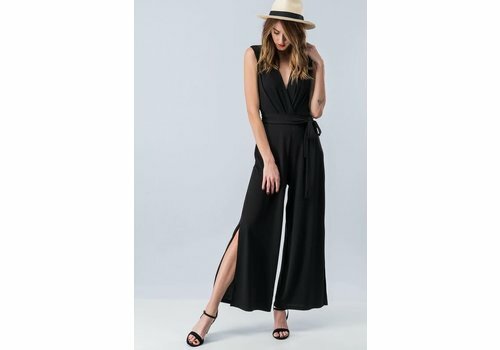 Everyone needs a classic black jumpsuit. There is so much detail including a side slit, wide leg and a self tie waist band. Ruched detailing at bust for a flattering look. This is a semi cropped cut, making it the perfect full length for petites too. 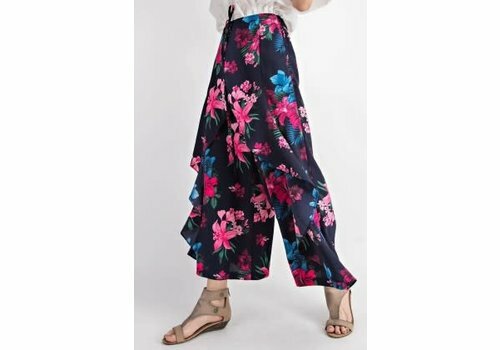 Gorgeous, tropical print tulips pants that look like a skirt! Waterfall drape, cropped, wide leg. Comfy elastic waist band. Navy, pinks and turquoise blue coloring. 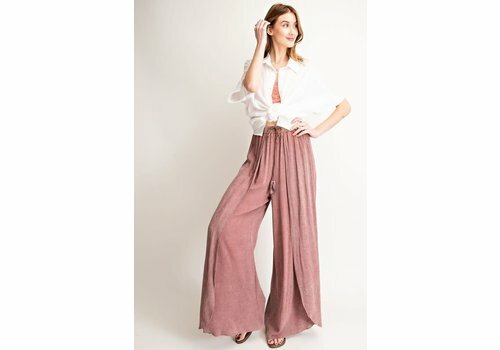 These comfy gauze pants are exactly what our boho dreams are made of! 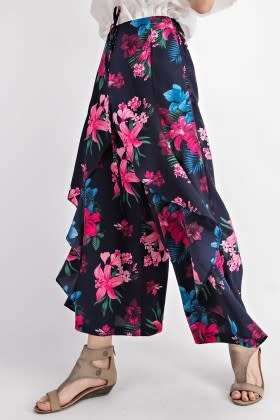 Super soft, elastic waist band, drawstring detail and a tulip-cut, wide leg detail. Light weight. Mineral wash dusty rose coloring. 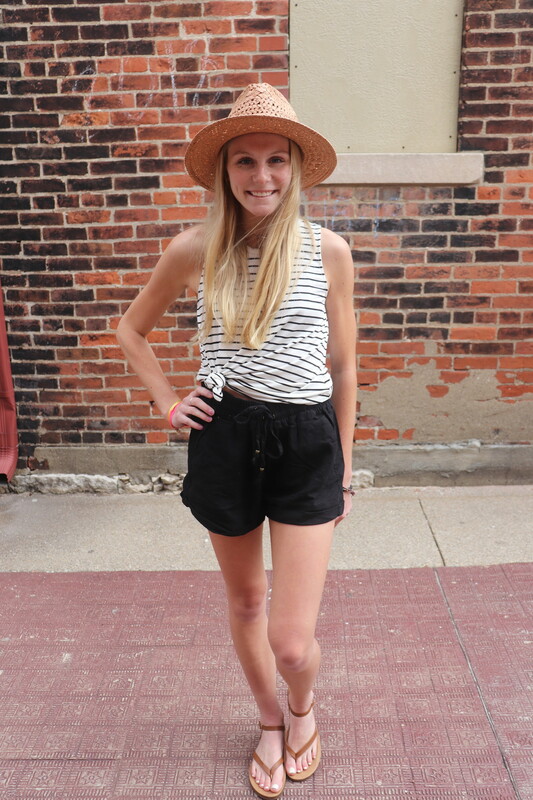 The cutest chambray denim shorts just arrived! Ruffled, high-waisted and a cute bow tie front. 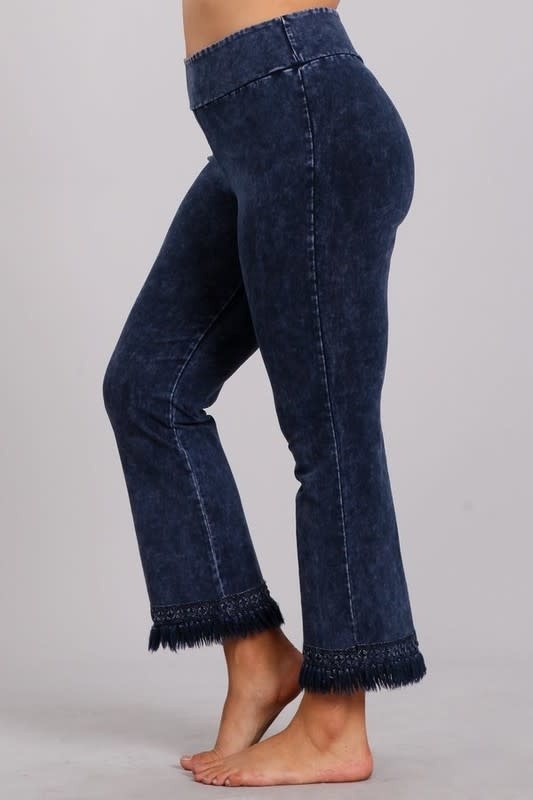 Also available in chambray light denim. 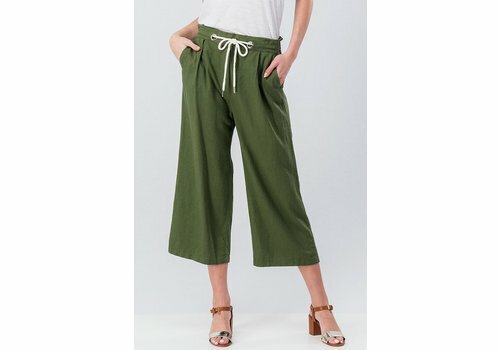 Wide legged cropped olive pants. Drawstring at waist. Front pockets, back faux pockets. So comfy! Black linen shorts with cuffed hem. 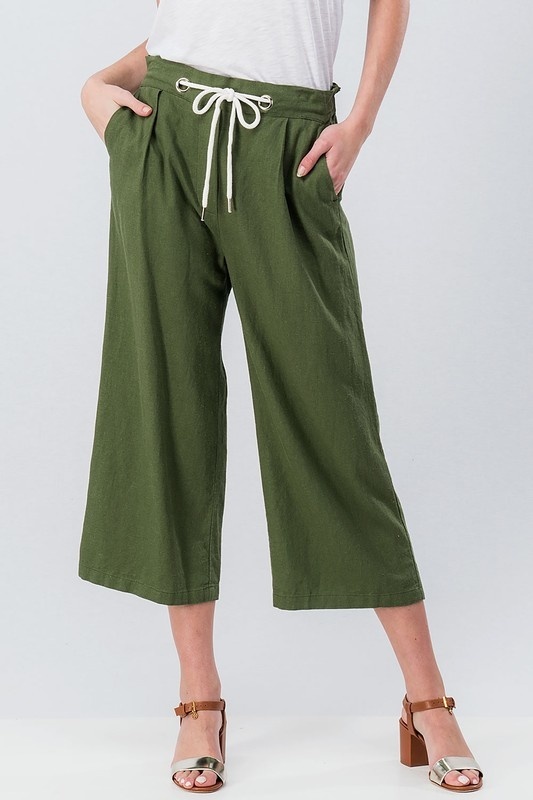 Elastic, drawstring waist. See our suggested fit below. 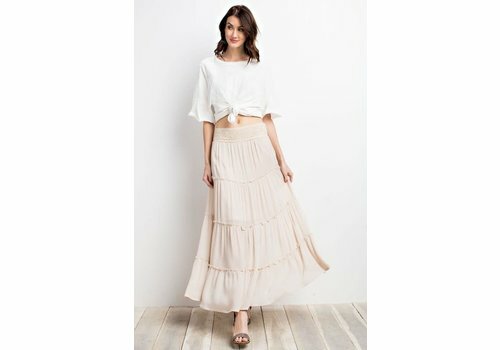 Pastel stripe midi skirt. Button down front, fully lined if you look close, you can see the sweetest embroidered eyelet flowers.